Posted on February 23, 2017 by Oakville Galleries. Longtime Oakville Galleries favourite Liz Magor just opened her retrospective you you you at the Migros Museum für Gegenwartskunst in Zurich last week. 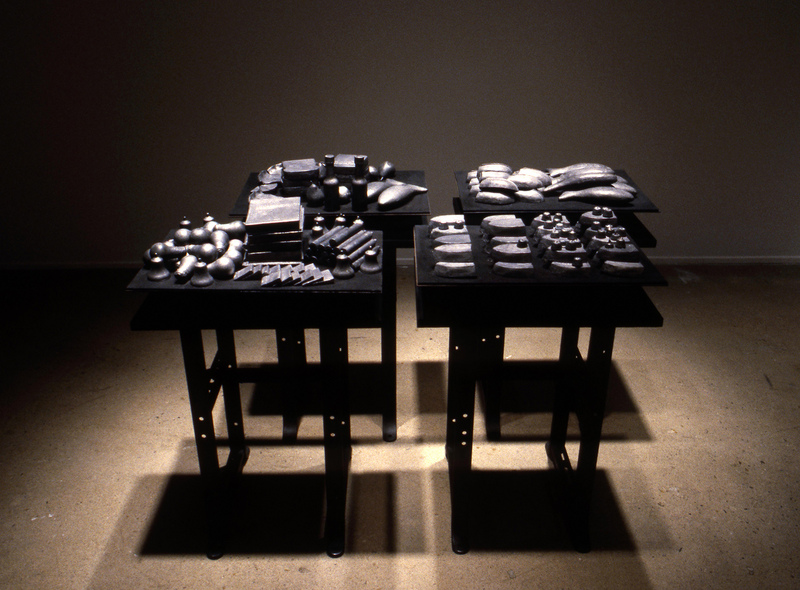 Here’s a throwback to a survey of her early works here in Oakville in 1993, which included this terrific piece Dorothy, A Resemblance (1981), a portrait rendered through cast lead objects. Photo: Rod Demerling.